Turkish Foreign Minister Mevlut Cavusoglu’s trip to China on Aug. 3-4 ended with a major fracture in Turkey’s East Turkistan and Uighur policies when Turkey promised to do its utmost to eradicate anti-China forces in Turkey. Unhindered passage of Uighurs affiliated with the East Turkistan Islamic Movement — which China considers to be a terror organization — to join the war in Syria via Turkey had caused tensions in Ankara’s ties with Beijing. While China blamed Turkey for allowing Uighurs to reach Syria, some of the Uighurs escaping from China were apprehended with fake Turkish passports. These Uighurs eventually angered Ankara by joining the al-Qaeda-linked Hayat Tahrir al-Sham in Syria, dominated locally by Jabhat Fatah al-Sham (formerly known as Jabhat Fatah al-Nusra). Cavusoglu also said they will try to put an end to anti-China publications in the Turkish media. International news agencies paid particular attention to Turkey’s decision to declare the East Turkistan Islamic Movement a terror organization. Turkey’s policy of keeping its borders open to those joining the war in Syria was particularly attractive for the fighters of Turkic origin coming from Asia. These fighters from East Turkistan, with their renowned courage and fighting skills, boosted the strength of jihadi groups and in time became sizable communities with their families who had traveled with them. Naturally, this reflected adversely on Ankara-Beijing relations. In 2009, during the incidents in the Sincan autonomous region of East Turkistan, President Recep Tayyip Erdogan had accused the Beijing government of “genocide.” It hasn’t been easy to overcome the tension created by Erdogan’s words, as a growing number of Uighurs traveling to Syria via Turkey retriggered the cold war between China and Turkey. Turkey’s offering of refuge to Uighurs who fled China to Thailand in 2015 seriously disturbed Beijing, and China arrested 10 Turks accused of arranging the escape of Uighurs with fake Turkish passports. Eventually, Erdogan sought to join the Shanghai Cooperation Organization when Turkey’s relations with the United States and the European Union soured; Ankara’s excited involvement with the “One Belt One Road” project of China, along with Turkey’s inclination to modify its Syria policy in coordination with Russia, led to improved ties with China that even declared 2018 “Turkey Tourism Year.” Turkey hopes to make up for its loss of tourists from Europe with an expected 3 million Chinese visitors. But Turkey’s commitment not to allow anti-China activities has worried about 300,000 Uighur migrants in Turkey. 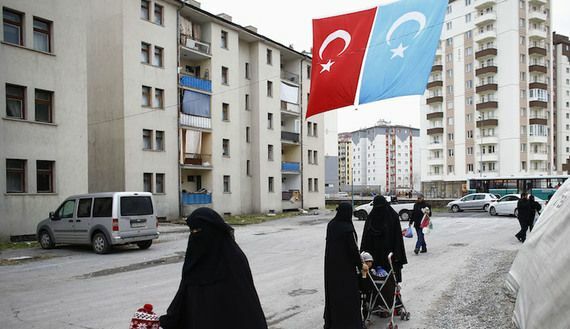 They fear that Turkey may terminate its support to Uighurs’ suffering under China’s oppression. Campaigns were launched on social media calling on the Ankara government to rectify its stand. 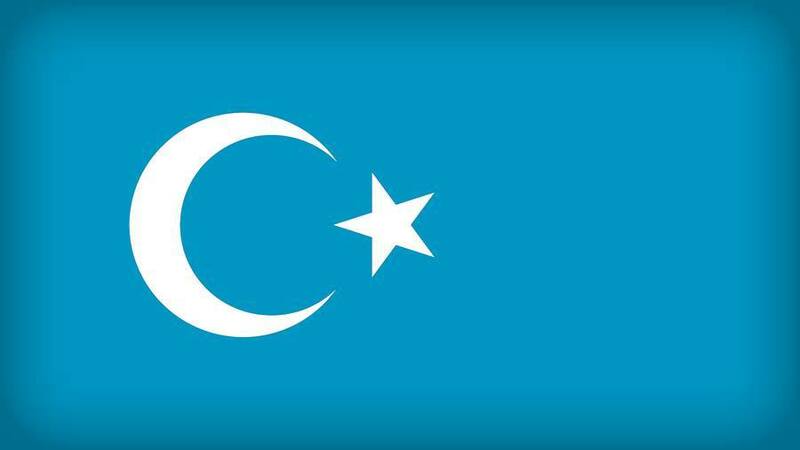 One social media message said Turkey had betrayed Turkistan by identifying the East Turkistan Islamic Movement as a terror organization. Turkey’s public, politicians and media — which are extremely allergic to autonomy when it comes to Kurds — are fully supportive of autonomy for East Turkistan. Nevertheless, although the Justice and Development Party rule is sympathetic to Islamist Uighurs, Rabia Kadir — the president of the World Uighur Congress, which is recognized as the global representative on the Uighur issue — is not allowed into Turkey. Uighurs affiliated with al-Qaeda and the Taliban are freely allowed to use crossings into Turkey. The East Turkistan Islamic Movement is free to run its media and publishing operations in Turkey. Clearly, looking at past practices, Ankara’s commitment to put East Turkistan on the terror list and promise to end anti-China media activities doesn’t necessarily mean that’s how it will be. Al-Qaeda is also on Turkey’s terror organization list, but books of key al-Qaeda leaders and thinkers such as Abdullah Azzam, Abu Muhammed al-Makdissi, Abu Musab al-Suri, Abu Musab al-Zarqawi and Ayman al-Zawahri are freely printed and sold in Turkey. It has to be noted, however, that inclusion of the East Turkistan Islamic Movement on the terror list is not really an independent decision by Turkey. When the United Nations adds an organization to its terror list, Turkey has no choice but to update its own list accordingly. The UN had included the East Turkistan Islamic Movement on the terror list in 2002 because of its links with al-Qaeda and the Taliban. What is to be observed here is that the Uighurs have set up their own jihadi commune in Idlib that is controlled by Hayat Tahrir al-Sham. There are groups of Uighurs at Eriha and Jabal al-Zawiya in northern Syria, but they are concentrated at Jisr al-Shughur, attached to Idlib. That is the new address for Uighurs. Some 300,000 Uighurs who have settled in Turkey are known to have moved to Syria, but their exact numbers are not known. There are reports that after the capture of Idlib in March 2015 by Jabhat al-Nusra (now known as Jabhat Fatah al-Sham) and Ahrar al-Sham, Uighur militants occupied the dwellings abandoned by Alawites and other minorities who fled. According to statements of those fighting in Jaish al-Fatah to capture Idlib, Uighurs — with their fighting prowess — have contributed significantly to the capture of Idlib. Uighurs who have settled around Idlib with their families have even organized jihadi training camps for their children. There are scenes of religious and combat training in the photos and videos of these camps. From these visual materials, it was understood that Uighurs had participated in combat at al-Gab west of Hama and Bab al-Ahmar of Latakia. The divergences between Jabhat al-Nusra and the Islamic State (IS) have affected the Uighur fighters as well. Some have declared loyalty to IS, but most stayed with Jabhat al-Nusra. Experts say Uighurs’ preference for Jabhat al-Nusra has its roots in their earlier affiliation with the Taliban and their relations with al-Qaeda from their days in Afghanistan. The numbers of Uighurs fighting in Syria vary. Syria’s ambassador in Beijing, Iyad Mustafa, had said that there are about 4,500-5,000 Uighurs fighting against the Syrian army. Independent sources say there are between 300 and 1,000 East Turkistan Islamic Movement militants active in Syria. About 100 of them are said to have joined IS. With Turkey’s cooperation with Russia in the Astana process and the growing rift between Ahrar al-Sham and Hayat Tahrir al-Sham in Idlib, Uighurs find themselves in the camp opposing Turkey. If the Uighurs had instead joined Ahrar al-Sham and taken part in Turkey’s Operation Euphrates Shield, the situation would have been radically beneficial for them.